The Com-Power AD-100 Tuned Dipole Antenna model AD-100 is a standard antenna set which operates in the frequency range of 30 MHz to 1000 MHz. 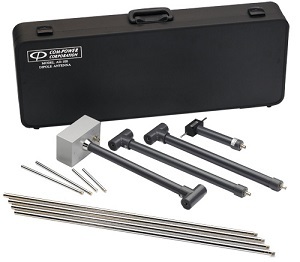 This set consists of four baluns and was designed according to American National Standard C63.4. This is a reference antenna set that can be used for EMC test site calibration and for calibrating other antennas in same frequency range. New in the box. BRL Test is your EMC EMI headquarters.